ANTIQUE WM. 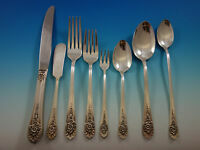 ROGERS BROS. A1 RRR 1847 GRAPE SILVER PLATE 3 DINNER FORKS 7 1/4"
ANTIQUE WM. 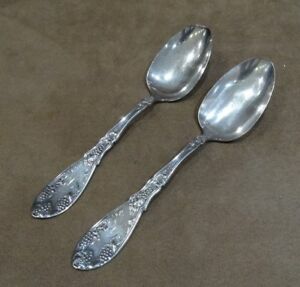 ROGERS BROS. A1 RRR 1847 GRAPE SILVER PLATE 3 SOUP SPOONS 7"
Grenoble aka Gloria by Wm. 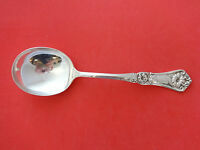 Rogers Plate Silverplate Gumbo Soup Spoon 6 7/8"
Vintage 1941 WM Rogers 52 Piece "Inheritance" Pattern Silverplate Flatware NICE! Grenoble aka Gloria by Wm. 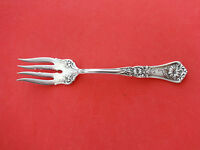 Rogers Plate Silverplate Salad Fork 5 7/8"